“My dog is geriatric, so I shouldn’t anesthetize him.” Fact or fiction? 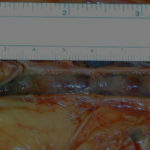 The short answer is fiction, “age itself is not a disease.” Many times I have heard, “why are we anesthetizing this 17-year-old dog?”, only to have them do amazing under anesthesia and be better than before. With that said, with aging does come some significant changes in organ function, how the body responds to stressors, and therefore risks associated with anesthesia can be increased. Because the life span of a small breed dog (e.g. Chihuahua) can dramatically differ from a larger breed dog (e.g., Great Dane), it is generally accepted that a geriatric patient is considered one at 75-80% of their typical expected lifespan. With age, the number of diseases present may be increased, so understanding how those disease processes affect drug metabolism, drug excretion, ventilation, and perfusion are important. With increasing research and understanding of the body’s physiology and advancements in medical and surgical therapies, patients are living longer, thus increasing the potential need for procedures requiring anesthesia. It is, therefore, important to know what types of changes generally occur with age, to best prepare appropriate anesthetic protocols and to know what types of anesthetic complications may need addressing perioperatively. Typical physiologic changes that can occur with aging included orthopedic, cardiovascular, pulmonary, renal, and hepatic. Though orthopedic changes do not directly affect how a patient will do while anesthetized, it can directly impact how they recover. One should keep this in mind when positioning a patient. Minimizing excessive traction/pressure on joints and maintaining proper padding is important for minimizing joint and muscle pain on recovery. If this cannot be avoided, then assuring proper pain management should be done. Cardiovascular reserve decreases with age resulting in decreased ventricular compliance and potential for myocardial fibrosis and valvular changes. Maximal heart rate response is less, and response to exogenous autonomic drugs is decreased. Pulmonary compliance and functional reserve decline with age, making the risk of hypoxia more likely, so monitoring of patient EtCO2 and SpO2 perioperatively are important. Changes in renal function include decreased renal blood flow, making monitoring for and treatment of hypotension very important. Prolonged excretion of drugs and impaired electrolyte and acid-base regulation should also be considered. A thorough pre-anesthetic physical assessment cannot be overemphasized, including careful auscultation of the heart. Any preexisting medical conditions should be medically managed and, when possible, controlled before anesthesia. Routine blood work and urinalysis should be performed before anesthesia. 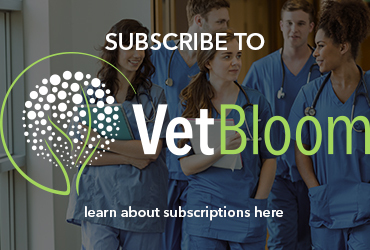 Several veterinary studies have reported that in geriatric patients specifically, routine pre-anesthetic blood work diagnosed new or subclinical disease in 30-80% of patients. When designing an anesthetic protocol, local and regional anesthesia techniques should be considered. These techniques provide analgesia as well as allow the use of fewer and lower doses of injectable drugs, thus minimizing side effects of other anesthesia drugs. The use of analgesics (NSAID and/or opioids) cannot be overemphasized. There is an enormous amount of literature describing the negative impact that pain has on the sympathetic nervous system, endocrine system, healing, and overall morbidity and mortality. Unless contraindicated, patients should receive sedation/anxiolysis before induction of anesthesia. This will minimize the detrimental effects that stress hormones have on various organ systems and will enable the use of lower induction dosages and help minimize the need for high concentrations of inhaled anesthetics. Inhalant anesthetics can cause significant hypotension. There is no perfect drug for induction of anesthesia, so consideration of that particular patient’s overall condition is necessary. As these patients may be more prone to decreased cardiac output and more at risk for the side effects of aggressive fluid use, the use of more cardiovascular sparing drugs may be beneficial. Reversible drugs may be a preferred choice, and use of lower drug doses due to potential impairment of hepatic and renal function may be warranted. Regardless of drugs chosen, drugs should be titrated to effect, as they are likely to need less than standard doses. Lastly maintenance of normal body temperature is important. Many of these patients may have poor body condition and not be able to maintain body heat well. Hypothermia has many detrimental effects on the body, including adverse effects on the myocardium, decreased healing, and delayed recovery. Clearly, risks associated with general anesthesia do increase with age. However, many diseases requiring procedural intervention (e.g. dentals, emergency procedures) can be more detrimental when not treated. One must carefully weigh the risks of each while remembering that if appropriate monitoring and drug choices are used and made, patients can do quite well. 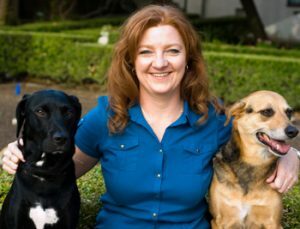 Dr. Amber Hopkins is a 2007 graduate of the Ross University School of Veterinary Medicine. She completed a one-year small animal rotating internship at Bay Area Veterinary Specialists in San Leandro, CA, followed by a three-year residency in anesthesia at the University of Pennsylvania. During her residency, she specialized in all areas of anesthesia and pain management in large animal, small animal, small exotic and zoo animals. Dr. Hopkins’s areas of particular interest are critical care anesthesia, exotics anesthesia and all aspects of pain management, including acute and chronic pain and client education. Dr. Hopkins is also certified in acupuncture, to further incorporate both conventional and complementary methods for treatment and management of pain. In her spare time, Dr. Hopkins enjoys hiking with her two mixed breed dogs, volleyball, surfing, and SCUBA diving. http://blog.vetbloom.com/wp-content/uploads/2016/07/Featured-Anesthesia-tech.jpg 320 900 admin http://blog.vetbloom.com/wp-content/uploads/2017/01/VetBloom-Official-Logo-Small-e1485206678262.png admin2016-07-12 08:00:132016-07-12 07:31:32"My dog is geriatric, so I shouldn't anesthetize him." Fact or fiction?